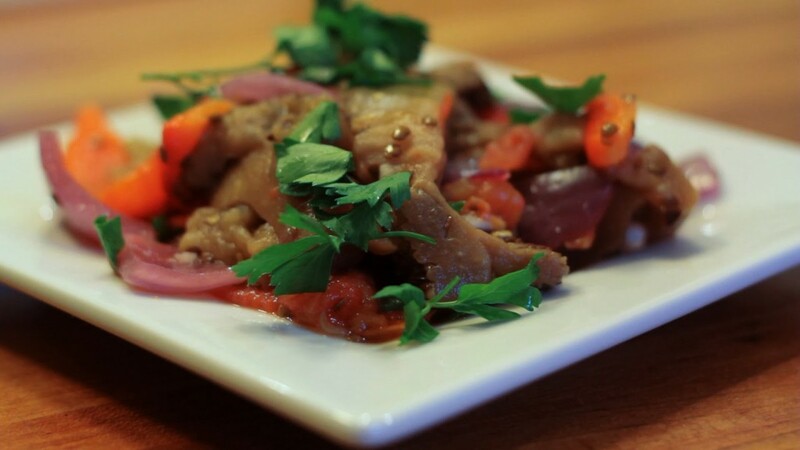 “Ensaladang Talong” is a traditional Filipino eggplant salad that is typically made with shrimp paste and lots of white vinegar. One of the reasons for so much white vinegar is because it helps reduce the fishy taste of the shrimp paste and the fish this salad usually accompanies. That just seems silly to me, especially when you could just not use any shrimp paste and serve it with something other than fish. Personally, I want to taste the ingredients in my dishes. If something doesn’t taste good and isn’t serving any particular function, then why bother including it? 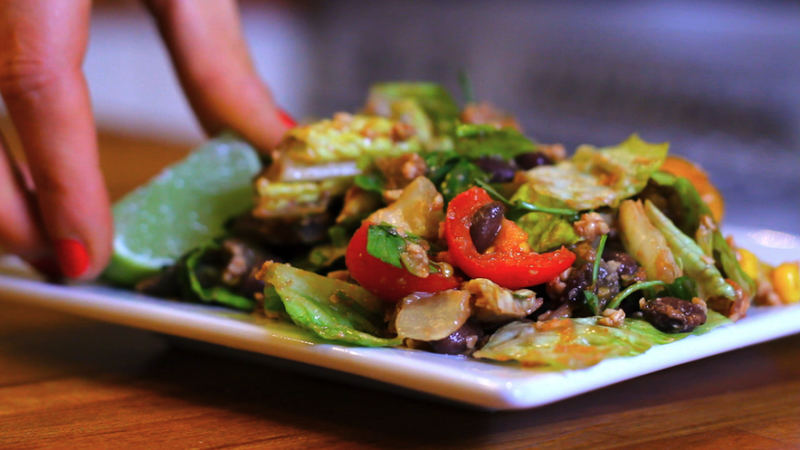 In the recipe below, I show you how to prepare a fish-safe version of this salad. Since I wasn’t using shrimp paste and, therefore, didn’t need to worry about cutting any flavors, I used rice vinegar, which is milder and sweeter than white vinegar, and really enhances the tangy combination of the onion, tomatoes and chili. 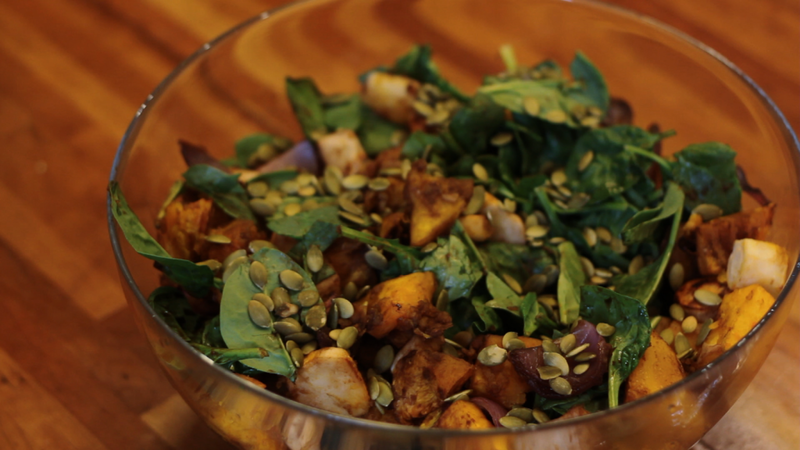 I like to make this salad and then enjoy it in a variety of ways over the next several days. Some of my favorites ways to eat it are with grilled tofu, tossed with garbanzo beans, or over a bed of brown rice. What might some of your favorite ways to enjoy this salad be? 1. Prick the flesh of one large eggplant with a fork and roast at 100 degrees for 45 minutes. Once cool, peel the skin, cut the stem and mash lightly with a fork. 2. In a bowl, combine two chopped tomatoes, one chopped onion, one half teaspoon salt and one slice of red chili. Add the eggplant and then toss to mix. 3. To prepare the dressing, mix three quarter cup of wine vinegar, two tablespoons of soy sauce and some freshly ground pepper. Pour the dressing over the vegetables and mix and then garnish with some sliced scallions. While as a whole, Spanish food is not nearly as revered as French or Italian food, Catalan food is considered some of the best the Mediterranean region has to offer. 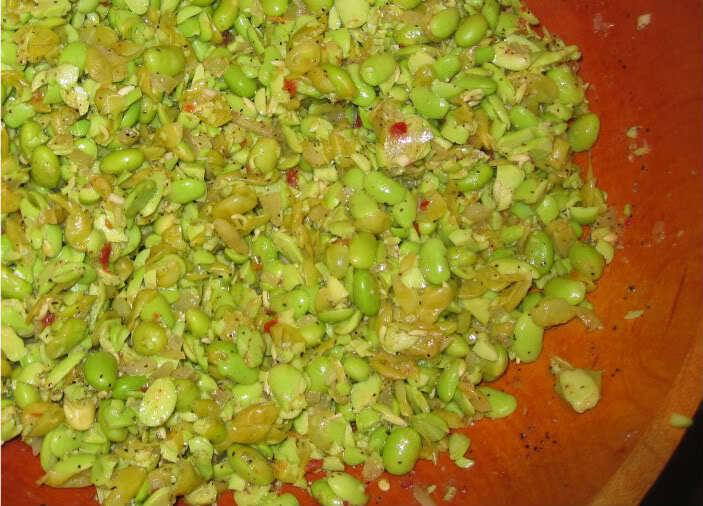 It’s abundant in vegetables, rice dishes, beans, interesting tomato sauces, and nuts. Escalivada is a traditional Catalan dish that consists of roasted vegetables and lots of olive oil. In my recipe, I omit the olive oil and let the richness of the vegetables shine through. When roasted, the red onions and bell peppers become gloriously sweet, the tomatoes become slightly tart, and the eggplant becomes smoky. This is a great dish to have in your fridge because it just goes with everything. It’s delicious on it’s own as a salad, served along side rice or quinoa, or try blending it just a touch and then spread it on toasted bread. 2. Prick the eggplant with a fork and then place it, along with the onion, pepper and tomatoes on a tinfoil-lined baking sheet and put into the oven. 4. To make the dressing, combine the garlic, Sherry vinegar, lemon juice and water. Add seasonings to taste. 5. Once the vegetables are cool enough to handle: Cut the eggplant into half-inch cubes. Peel and seed the peppers and cut them into wide strips. Peel and core the tomatoes and tear each into 4-5 pieces. Peel and remove the top and tail of the onion, then halve it lengthwise and cut it into half-inch strips. 6. Place all the vegetables in a large bowl and toss with the dressing. When ready to serve, top with 1-2 tablespoons of parsley. Enjoy at room temperature or cold. While this would, indeed, be a spectacular side salad for Thanksgiving, it almost seems unfair to make other dishes compete with this because it is such a star. Instead, I prefer to serve this hearty salad as an entree throughout the fall and winter months. For what it’s worth, Mr. Goldhouse says this is easily THE best salad he’s ever had, and one of the best dishes he’s ever had. That is high praise, indeed! The roasted vegetables become as sweet as candy and because of their rich hues, it looks like you have gorgeous jewels on your plate. (For an even more bejeweled effect, add beets!) In addition to their beauty and deliciousness, root vegetables are also full of phytochemicals that help fight against cancer, diabetes, and heart disease. 2. Peel all the vegetables and cut them into large chunks. 3. In a large bowl, toss the vegetables with the ginger, maple syrup, water, and salt if using. 4. Spread the vegetables in a roasting pan (I recommend lining it with parchment paper) and roast for 40-60 minutes, stirring half way through, until vegetables are very tender and caramelized. A good way to tell the vegetables are done is when the onions have lost all of their crunchiness and have become sweet. 5. 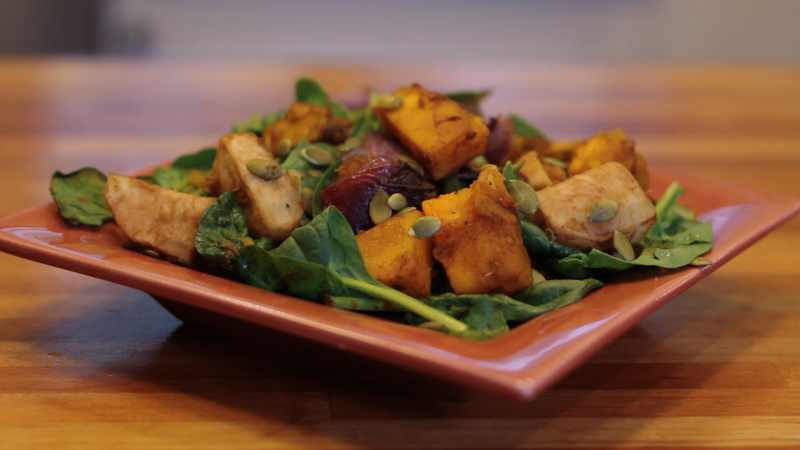 Place the roasted vegetables on top of the baby spinach and top with pumpkin seeds. Season with balsamic vinegar and some fresh ground pepper to taste. What are antioxidants and why do we want them? Antioxidants protect your cells from the damage caused by unstable molecules called free radicals. Free radicals can lead to heart disease, cancer, cognitive decline, and other diseases, so we very much want the protection of antioxidants. Fruits and vegetables are loaded with antioxidants which is why consuming them as often and as much as possible is one of the very best things we can do for our health. Lycopene is an antioxidant in tomatoes. In fact, it’s what gives tomatoes their red color. Scientific studies show that lycopene helps prevent lung, stomach, and prostate cancer. It also helps reduce LDL cholesterol and lowers blood pressure. 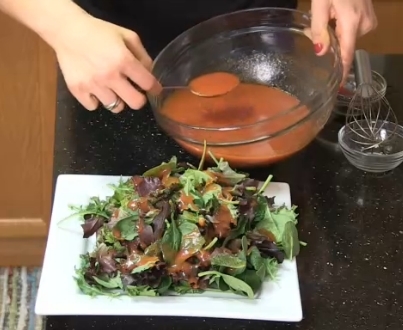 In this video, I show you not only how to make a delicious salad dressing but I’ll also explain how to get the most lycopene bang for your buck. Woo hoo! My husband Robert is the sweetest and most humble person I know, but he is a huge bacon snob! He grew up in the South and ate a lot of bacon for breakfast so he holds extremely high standards. I, however, raised a lowly Jew, have standards that are basically nonexistent. So the first time I made tempeh bacon was not a positive experience. Let’s just say it ended with me in tears. However, I bravely made a second attempt, and after the longest pause in history, Robert declared with a mouthful “that’s damn good.” And guess what? Tempeh bacon will not cause you or any pigs to die! Damn good, indeed. 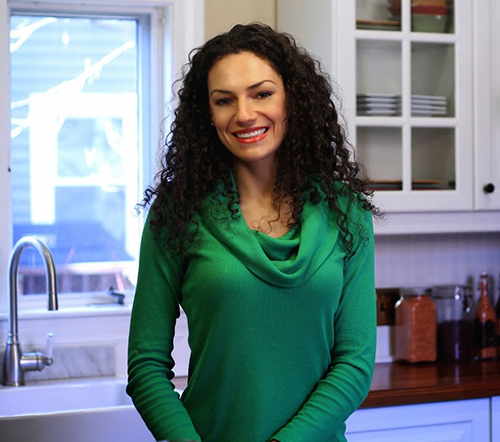 In the photo above, I followed the tempeh bacon recipe in the video and then used the remaining marinade to saute some cremini mushrooms. 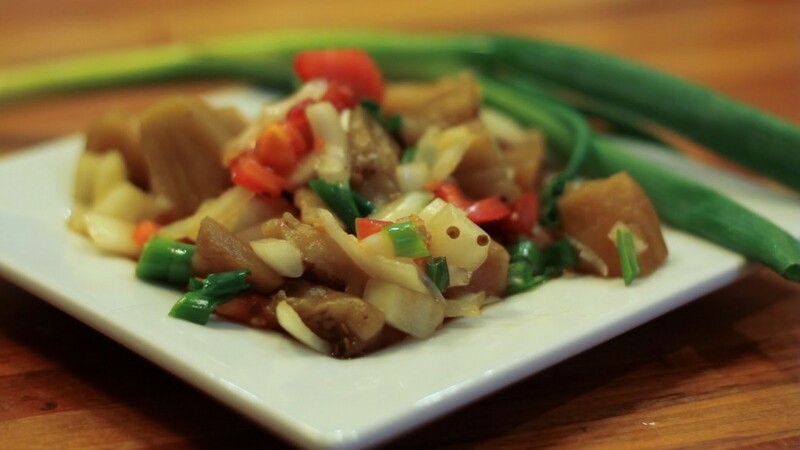 Mushrooms are great because, like tempeh, they provide a chewy texture we mistakenly think can only be found in meat. 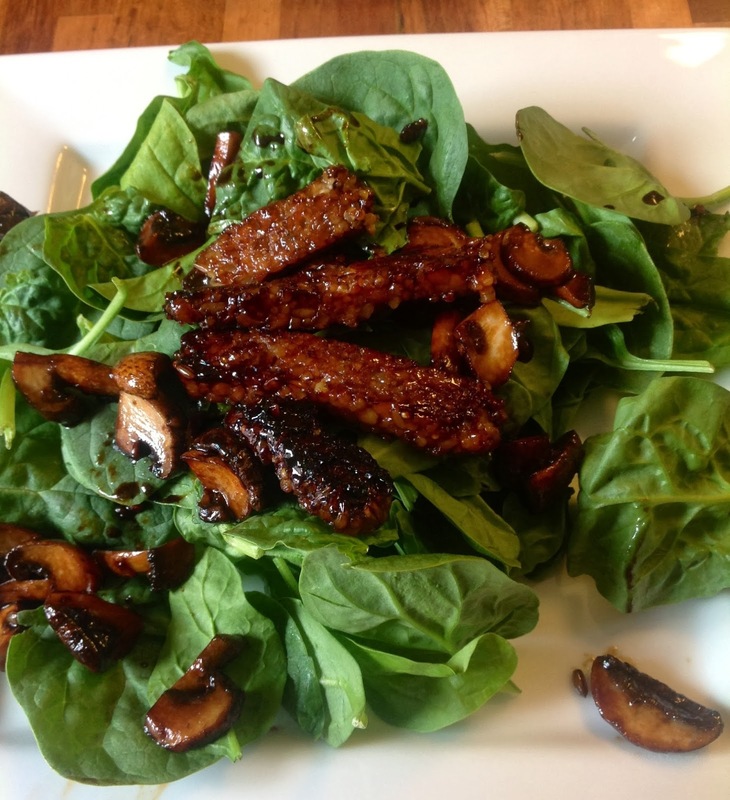 I then served the tempeh bacon and the sauteed mushrooms over a bed of baby spinach, and voila! The result is a wonderful warm salad that is as gorgeous as it is delicious. In centuries past, humans had direct access to B12 from their produce, but now that fruits and veggies are so scrupulously cleaned and grown in soils that have been treated with pesticides and herbicides with less B12-producing bacteria, they aren’t such a reliable source. Enter Nutritional Yeast, a cheezy-flavored powder that is fortified with B12. It is such an easy thing to include in your diet. The Liquid Gold dressing in this recipe is one of our favorite things to put on pretty much anything. Two tablespoons of this delicious, creamy sauce provides your day’s supply of omega-3 fatty acids and 80% of your B12 for the day! It’s also packed with riboflavin and other B vitamins. 1. Blend the dressing until smooth. It can be kept in a jar with a lid (I store mine in empty soy sauce bottles) and refrigerated for 2 weeks. 2. Make the quinoa: toast on the stove, dry, for 5 minutes. Add 2 cups of water and bring to a boil. Reduce heat to low, and cover for 15-20 minutes. 3. Chop cabbage and then transfer to a bowl. Toss in the dried cherries. 4. 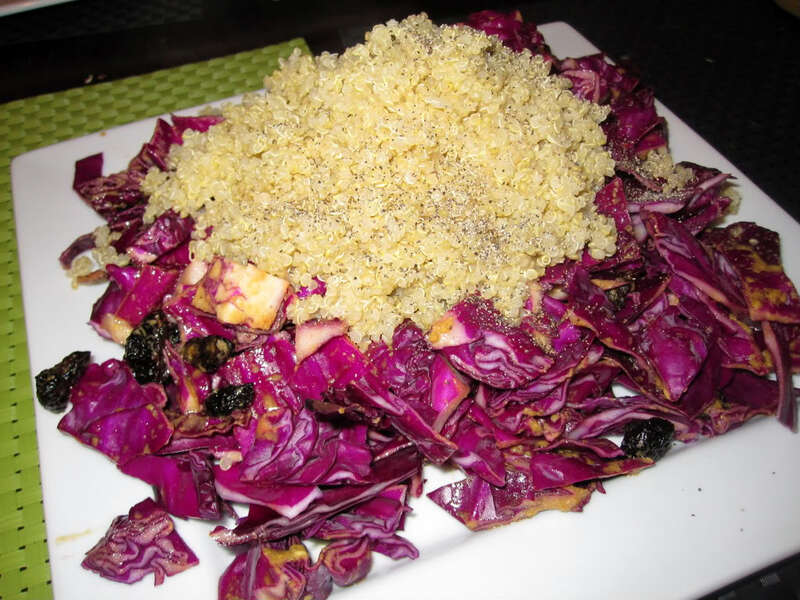 Divide cabbage onto serving plates. Scoop cooked quinoa on top. Drizzle dressing on top. Enjoy! We love this meal so much we probably have it twice a week, at least! It’s what I make when I’m short on time or don’t feel like putting too much thought into dinner. A “lazy lady’s dinner,” if you will. This salad is rugged. Yeah, that’s right. I used “rugged” and “salad” in the same sentence. 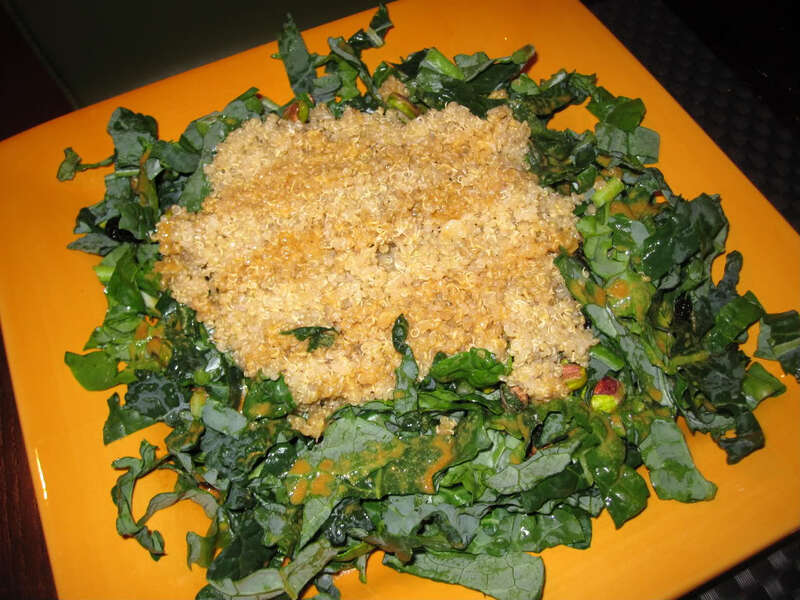 There is something about raw lacinato kale that is so strong and hearty and, well, rugged! Plus, kale is part of the cruciferous vegetable family, making it a true nutritional powerhouse. In fact, The World’s Healthiest Foods Foundation describes kale as “one of the healthiest vegetables around.” It has risk-lowering benefits for at least five types of cancers (bladder, breast, colon, ovary, and prostate) and has a cholesterol-lowering ability comparable to the prescription drug cholestyramine (a medication that is taken for the purpose of lowering cholesterol). That’s a whole lot of nutrition in a meal that takes only 20 minutes at most! 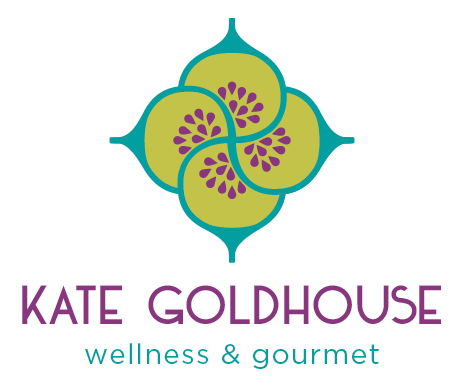 Tip: I keep a constant supply of Goldhouse Gold Dressing in my fridge. I always double or triple the recipe and store it in a HUGE Manischewitz bottle. (Don’t ask… My husband loves Manischewitz.) That way it’s ready whenever I need it, which is pretty much all the time because it’s SO good and it tastes delicious on practically everything. 1. Place quinoa in a dry medium saucepan and toast over medium-high flame for 3 minutes. Add water and bring to a boil. Then reduce heat to low and cover for 18-20 minutes until each quinoa has a curly little tail. It should be very fluffy like cooked couscous, not wet or porridge-y. 2. Meanwhile, finely chop the kale and place into a large salad bowl. Add the nuts and dried fruit of choice. 3. When the quinoa is done add it to the kale mix. Drizzle with Goldhouse Gold Dressing and fresh pepper to taste. De-lish! 1. Place the onion, cilantro, garlic, lemon juice, miso, salt, chili paste and pepper into a large bowl and whisk. 2. Add the boiled edamame and stir. 3. Mash with a fork to desired level of mushiness or chunkiness. Serve as is or with whole wheat pita. 1. Soak dried seaweed in cold water for about 20 minutes. 2. Meanwhile, slice the cucumbers into thin rounds. Spread slices over a paper towel and lightly sprinkle them with salt. Cover slices with another papertowel and let sit. 3. Mix rice vinegar, soy sauce, and chili pepper flakes in a bowl. 4. Drain the seaweed. Cut into 2-inch-long pieces, discarding any hard spines. 5. Press down the papertowel covering the cucumber slices to remove excess water. 6. 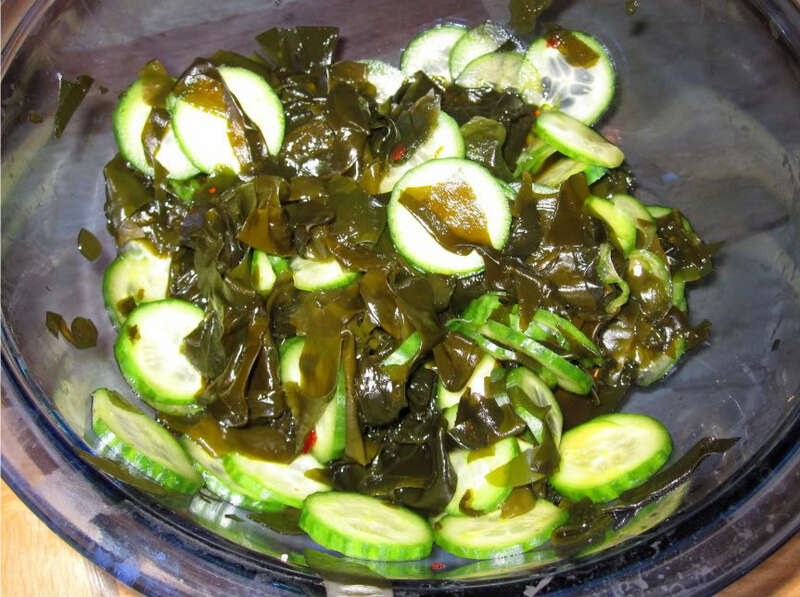 Place wakame and cucumber slices in a bowl. Pour in the dressing and mix well, adding sesame seeds if you like.